Below are just a selection of items available to help with your pet's overall health requirements. See in-store for our full range. BioVITES is a holistic, nutritional supplement that provides a full spectrum of vitamins, minerals, enzymes, prebiotics, lignans, protein, amino acids, and antioxidants; when used regularly, helps to normalize digestion, absorption and metabolism that are important for immune function and general health. 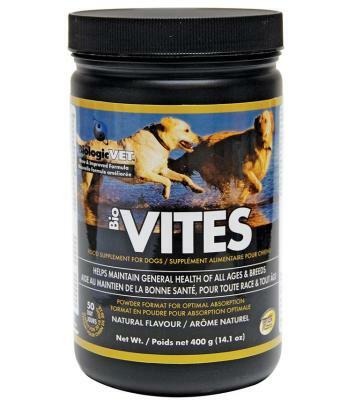 This daily supplement is formulated to support your pet’s immune system and to encourage the most effective delivery of nutrients, maintain nutrient density, feed efficiency and help maintain general health at every stage of your pet’s life. Contains pancrelipase that hydrolyzes triglycerides; protease and bromelain that hydrolyzes protein. 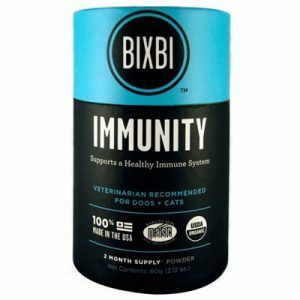 Don’t wait until your pet gets sick to start thinking about their health, give their immune system the upper hand with BIXBI Immunity. 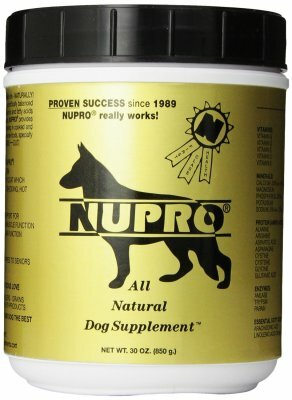 It’s made with a powerful blend of mushrooms that supplies your pet with a large range of antioxidants and polysaccharides to reduce the number of free radicals in their body. The mushrooms in our formula have also been shown to support normal inflammatory responses and both white and red blood cell production. With BIXBI Immunity, your pet is well positioned to fend off nearly anything that comes their way. 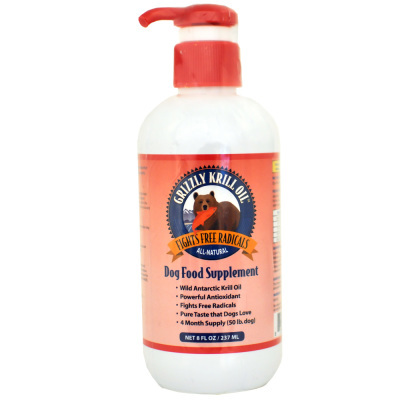 Grizzly wild Atlantic krill oil works as a powerful antioxidant that helps fight free radicals and it has a pure taste that dogs love. Grizzly Krill Oil contains high levels of the natural antioxidant Astaxanthin, which also gives krill oil its deep red colour. Antioxidants have been shown to aid in the elimination of harmful molecules called "free radicals" which in turn may help protect the body's cells and tissues. ingredients, what your dog would normally have gotten in the wild. breeds and all ages from Puppies to Seniors. Many companies produce herbal formulations, but Omega Alpha manufactures supplements based on proven scientific research and testing, not popular fads and media/marketing manipulation. Currently Omega Alpha manufactures over 100 natural health products, many of which have been clinically evaluated by pharmacists and medical or naturopathic doctors. 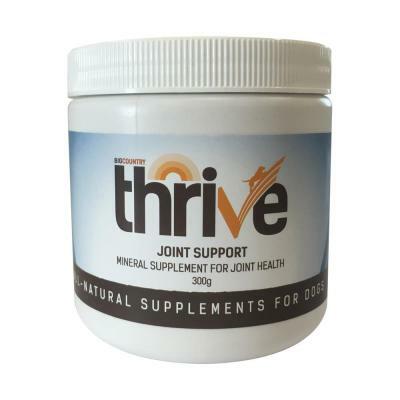 Thrive Trimineral Boost is a whole food mineral supplement that combines the goodness of Kelp, Organic Alfalfa, and Spirulina. Kelp is nature's perfect sea vegetable, which contains over 60 minerals. Kelp is especially high in iodine, which aids in proper glandular function and metabolism. Alfalfa is a rich source of naturally occuring mienrals, digestive enzymes, and 8 essential amino acids important to animal health. Spirulina contains a number of unique phytonutrients that enhance the immune system. It also is a rich source of cleansing chlorophyl. Sourced and grown in the USA. Like you, we have dogs and know that a healthy immune system and a strong heart are essential to susutained health and longevity. 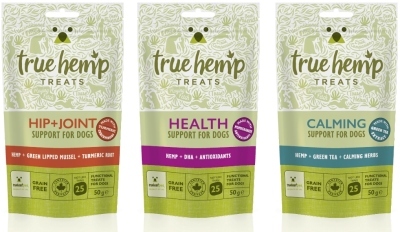 This unique formulation shows your dog True Love by utilizing hemp seed and anchovy oil as a source of omega 3, DHA, and EPA to support cardiovascular health, plus pomegranates as a source of 'super antioxidantsd' to help maintain a strong immune system. Available in liquid form and chews. 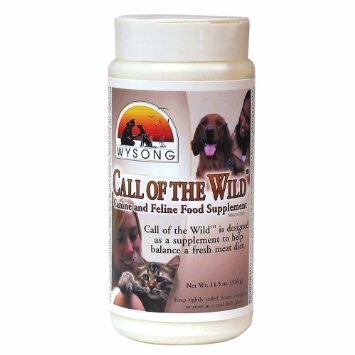 Call of the Wild™ cat and dog supplement helps achieve archetypal feeding patterns by providing organ meat, fats, connective tissue, proteoglycans, minerals, vitamins, enzymes, probiotics, herbs and innumerable other micronutrients in the levels and proportions found in natural prey. The proper pet diet truly mimics the natural feeding practice -- this is to consume nearly all aspects of prey, and not only the muscle meat. By adding Call of the Wild™ to fresh meat or our all meat varieties you can give your pet's all meat meals a truly natural balance. resemble what they might consume in the wild.